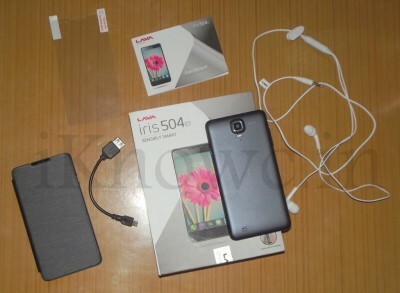 Lava iris-504Q review.Lava International Limited has launched several devices this year and the device which created huge hype for the company was Iris 504Q. 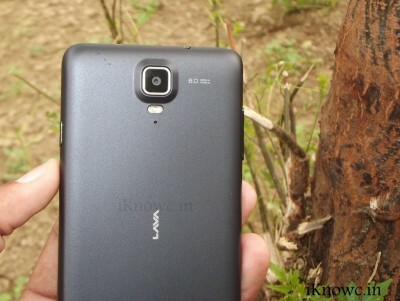 Before we start let me tell you the Specifications of the Lava Iris 504Q . The 504-Q has 5inch HD IPS Display with OGS technology and is powered by 1.2GHz Mediatek MT6589 Quad core Processor. 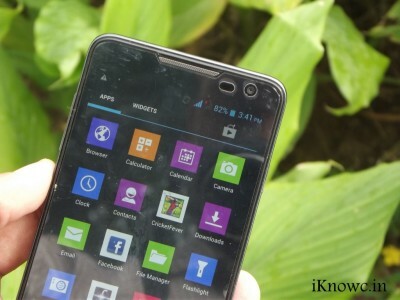 The phone runs on Android 4.2.1 Jelly bean operating system and has 4GB of ROM. 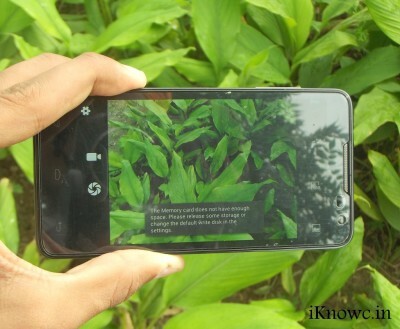 To please the users while clicking images from the camera there is 8-megapixel primary Camera with BSI sensor and a 2megapixel front camera. The first thing you notice when you hold the Lava Iris-504 in your palm is its light weight and compact design. The IRIS 504-Q is Slim, Sleek and has a premium look. It looks much premium than actually it is. The look of the device resembles the most of HTC devices, specially from front. It is only 8.4mm thick and weighs 140 grams which makes its handy and easy to hold, even for long time. 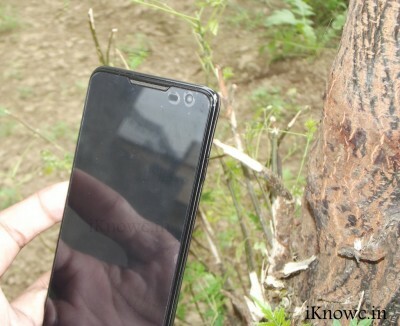 At top front of the handset there are bunch of sensors, earpiece with integrated notification LED (usually blinks when you connect something with micro USB port), a 2megapixel front cam below that is 5″ IPS display and at the bottom there are three touch sensitive buttons. At the back of the smartphone there is a 8 MP autofocus camera with BSI sensor, LED flash and noise cancellation MIC , logo and loudspeaker grill. The power button is placed at the right of the handset whereas as the Volume keys are placed on the left of phone. Micro USB port and 3.5mm audio jack are locked on the top and primary microphone at the bottom of device. Its hardware and the built quality is robust and we have not noticed any sort of rattling noise from any where in the device . The Iris 504 q has 5-inch IPS display (320 DPI) with OGS technology having 1280×720 pixels resolution at 294 PPI (pixels per inch). The display is quite bright and you love to play games and watch movies on the handset. The color rendering and propagation is fairly impressive. The display is visible indoor and outdoor as well. The handset Iris runs on Android 4.2.1 Jellybean OS, Lava has included Gesture control feature to make the handset more approachable to the user. The smartphone comes pre-loaded with bunch of games and Social networking apps. The flip cover that comes free with the device automatically wakes up the phone when you open it, actually it has in built magnet which completes the magnetic sensor circuit when you open the flip cover and vica-versa. The handset comes with 4GB of on board storage and 1GB of RAM. Out of 971MB RAM about 610 MB ram is available. 0.98GB of memory is allocated for installing apps ( apps can be move to micro SD card) and 1.6GB is available for USER out of 4GB ROM. 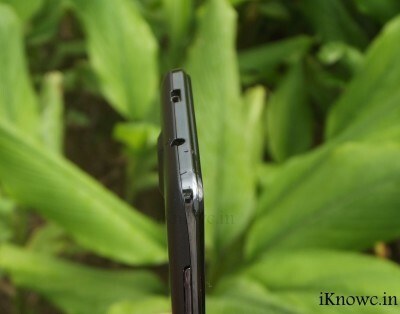 The smartphone has Dual SIM card SLOTS and a micro SD card slot for further memory expandability up to 32GB. To power the device there is 1.2GHz quad-core processor integrated with PowerVR SGX 544MP Graphics processing unit. We have not notice any major lag from the device although while performing high end tasks you may notice minor lag. Overall the handset is quite smooth. Let me tell you very honestly that Gionee Gpad G2 is bit more faster than this. We have not seen any sort of lag while surfing our website on the browser, the pinch to zoom and kinetic scrolling is smooth. You can play videos directly from the browser and on the same page, in the same way you play in PC. The Iris-504q can record and supports Full HD 1080p video playback. The played bunch of graphics intensive games like Asphalt 6, Modern Combat 2 (pre-installed), Nova 3, Temple Run and Cricket Fever (pre loaded) with any sort of lag. All the above games worked smoothly. The 8MP BSI sensor Auto focus primary camera with LED flash on the phone gives out very good quality images and videos as well. The 2MP front facing camera is also good. You can capture HDR images and Full HD videos as well. The sound for the loudspeaker is loud, specially clear. 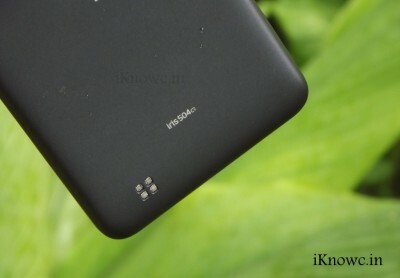 The Lava 504q has 3G, WiFi, GPS, micro USB with OTG and Bluetooth connectivity. You can also connect pendrive or external portable hard disk with the device via OTG cable. The GPS also works pretty quickly. The 2000mAh battery gives nice standby and talk time. The battery lasts for one day on moderate use. The phone also features Gesture Control technology and it only works in One direction. Generally it works in Gallery and in Camera app to capture pictures. 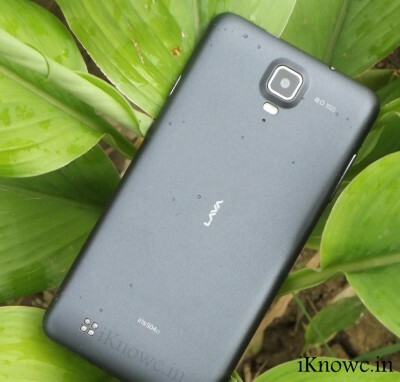 The Lava Iris 504Q is budget Quad core smartphone that comes with nice specs and price. 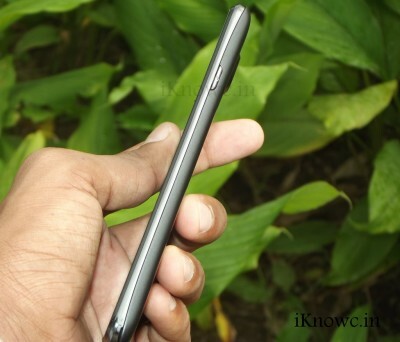 The mobile phone seems to be a better option than the Micromax A116 canvas HD. 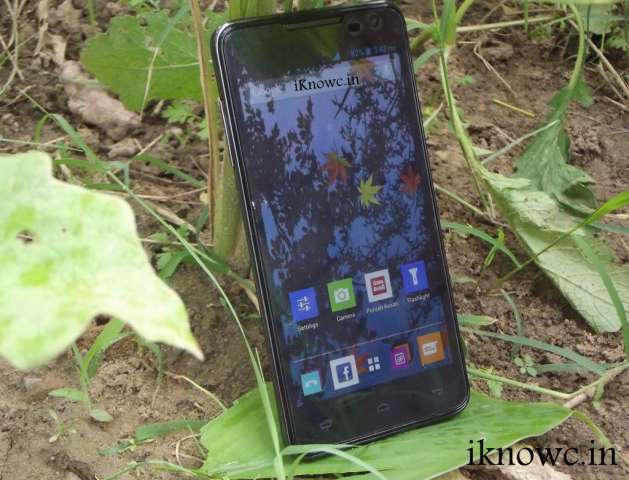 It is a stable competitor / Rival of Micromax Canvas 4 and Xolo Q1000. Overall it is good smartphone with impressive built quality, light weight and premium design. The Price of the phone is RS. 13,300. Micromax Canvas Magnus A117 is another Rival for the 504 q.
Praji please tell me which is better choice in 504q and a117 (magnus)? Awesome website for the review bro....keep it up...thanks a ton. sir, i love ur site.. plz suggest me good mobile under 8000rs.. i am students so budget is little tight..
i am using canvas HD it also lags bit when playing heavy games, but Lava 504q seems better. Sir thanks for review, love the way you review gadgets, i dialy visit your website , sugest me which one is best Gionee E6 or intex Aqua i7. Please also post on Earthing I seen the video on you tube but still please.